Family house in quiet village offering home from home comforts with picturesque views and easy access to the Forest of Dean. This is a quiet village in a beautiful area. The B&B is easy to find and straightforward to settle into. The family are lovely and I will be returning! Very clean - very welcoming and excellent food. A very pleasant stay in a B&B that I would thoroughly recommend. Very welcoming and extremely helpful. We enjoyed our stay very much although it was just one night because of visiting relatives. 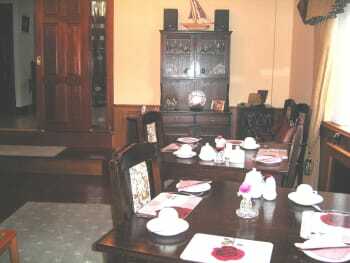 We very much enjoyed our stay - quiet location, comfortable bed, good breakfast, and friendly service. Very nice homely place. Bedroom clean and comfortable. Owner and staff very plesent and and courteous. Very enjoyable short break. Rooms very comfortable and clean. Hosts welcoming. Lovely freshly cooked breakfast. Lovely fish and chips at Rising Sun in Moseley. Also enjoyed pasta at La Dolce Vita in Blakeney. Walked the Sculpture Trail from Brockenhurst car park. Liked seeing the local sheep walking along the edge of the road. 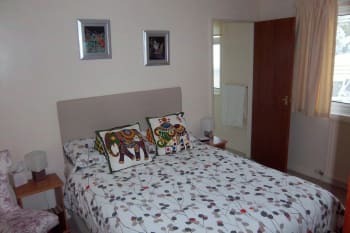 Impeccably clean,Room was nice to separate beds and toilette just across the landing reserved for just us,nice location,lovely friendly people,Fantastic breakfast with the offer of more ! Truly a home from home,thank you for a pleasant stay. car is probably needed if you want to go to town for shopping ect,although there is a couple of old school pubs in walking distance. Lovely B&B in a convenient spot for our needs. We enjoyed eating at The Speech House. Food excellent and plenty of choice. We ate in the Orangery. Thank you for your review. We hope you will visit again. Such a welcome breakfast just lovely and so beautiful presented there is every thing you want. family run its just like home from home.There home is a beautiful place brilliant view.Will see you next year.Valerie & Michael.Thankyou. 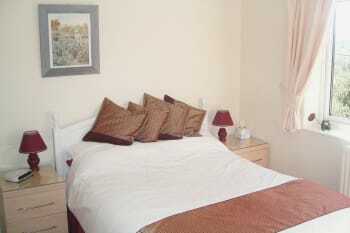 A lovely room with full ensuite facilities. Quiet, great facilities, comfortable bed. Friendly hosts. We will return if in the area again. So close to the Forest of Dean for walking etc. Lots of small villages to explore and country pubs. Very clean and tidy. Friendly host and lovely food. A good location, within easy reach of all the good places to visit. Clearwell caves is a fascinating place to visit. Very friendly and helpful nice and clean good breakfast and comfy beds . Always book your taxi in advance!! Not many taxis in the area. Thank you for your comments, we look forward to seeing you again. Very nice and clean room. Gorgeous breakfast. Thank you. It is just a few steps from the forest. You can go for a stroll any time you want. Very nice accommodation, lovely breakfast, comfy bed and clean room. Nice location to visit the Forest of Dean and surrounding countryside. Thank you for your comments. We hope you will visit again. We had a very comfortable stay at Silverdeane. Very friendly family who made us feel welcome. Enjoyed my stay here. Staff very attentive and helpful and i would certainly recommend this place to others. It is an excellent friendly family run business with impeccable service. 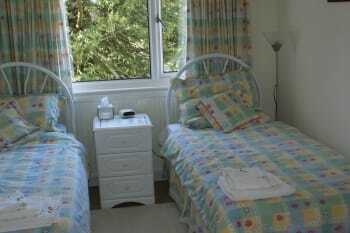 Friendly Hosts, comfortable bed, clean room and bathroom, good breakfast etc. Good allround. The owners of Silverdeane were very accommodating people, nothing was too much trouble and they went out of their way to make our stay as comfortable as possible. Lydney was only 3 miles away, where there are numerous shops. Quite a few Pubs nearby with food. We also went to Gloucester, which only took us three quarters of an hour. Very friendly and helpful. Plenty of tea/coffee/biscuits etc along with a good breakfast. Nice location - straight into the forest. Lots of useful information about local eateries, things to do etc. Speech House Orangery very nice to eat at - reasonable prices but in very nice surroundings with excellent service. Only about 10min drive away. Geomap at New Fancy viewpoint very interesting! Thank you for your comments. We look forward to seeing you again in the future. I very much enjoyed my stay. It is quiet, peaceful, restful. The only slightly negative comment I would make is that (unless I missed it) there were no instructions as to how to get to the parking area at the back! We were only here for a few hours so can't pass on anything. Sorry! Directions are usually given as guests arrive at the front door and register. Very friendly and helpful staff who made us feel welcome. The atmosphere was relaxed and the breakfast was excellent. Beautiful walks and lots to see in the Forest of Dean. 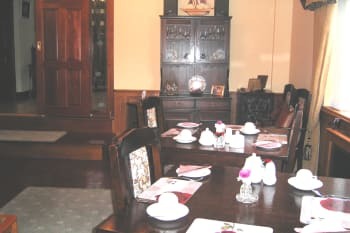 If you're a curry fan, a trip to the Gurkha Restaurant at Woolaston Inn is recommended. Thank you. We hope you will visit again. Very warm welcome and made to feel at home. Very friendly, very accomodating and a pleasure to deal with. Great base for exploring the Forest. Lovely B&B, friendly owner and lovely rooms. No complaints great value for money. I really enjoyed my stay with you. I felt welcomed & special. One doesn't always have this experience staying in hotels/B+Bs. You were very helpful & considerate of my needs. Thanks again. Hope to stay again next year, God willing.